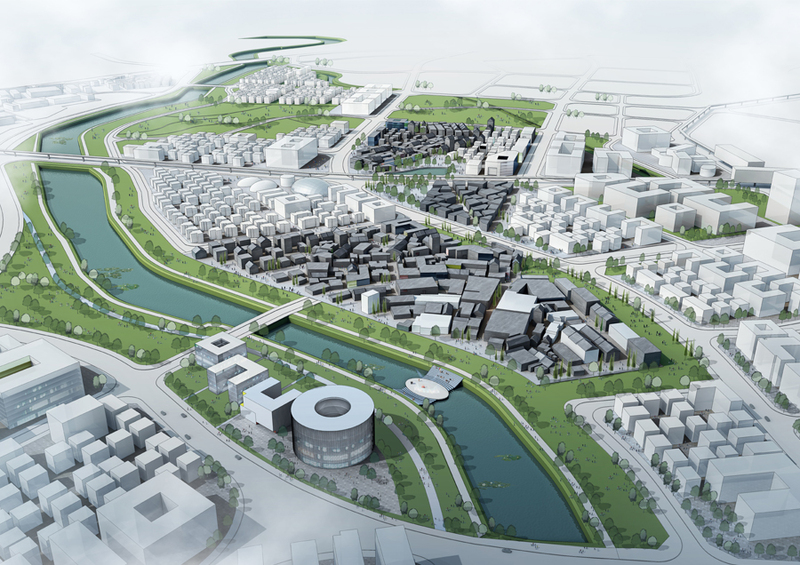 Program: Design overall master plan of Guanlan River and integrate of the waterfront functions；Shape the spatial forms and styles with the district features; Define the key spaces that help achieve the overall objective. Longhua New District is faced with many problems and challenges in its development. Planned urbanization lags behind industrialization, social construction lags behind economic development, human resources development lags behind the development of land resources - especially with limited land resources, unsustainable traditional development modes, few tertiary industries to optimize industrial structure, and not yet perfected independent innovation mechanisms. Social services need to expand. New urban construction needs to focus more on quality. Population density is high, though living standards are low. The pressures put on the ecological environment are threatening sustainability and the state of resource management is poor. Land problems persist from earlier times. And, urban renewal costs are high, restricting new transformative development. Through a concerted reconstruction of public space and appropriate allocation of public resources, the existing fragmented, disconnected and under-served spaces and activities can be improved and connected. By fostering knowledge skills in combination with entertainment and leisure activities an opportunity is created for nurturing socially sustainable growth within the entertainment area.